Weekly Asks: What's Your Current Go-To Lip Product...??? Hope you all are doing well. 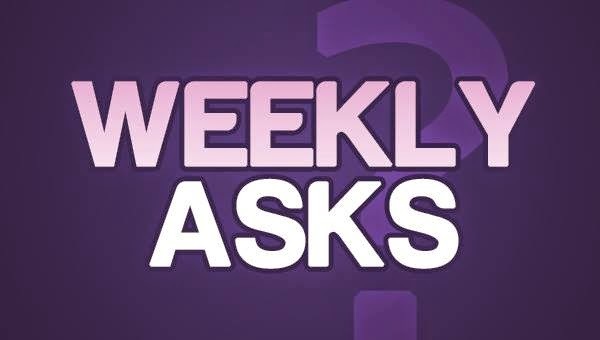 Here I am this Sunday with another weekly asks segment. Let's take a look at this week's questions. What is your current go-to lip product/ lip color...??? My Answer: Well it actually keeps on changing and depends on what am wearing, but my current go-to lip product is Jordana Twist and Shine Balm in shade "Honey Love". It's a perfect everyday color and I am loving it currently. 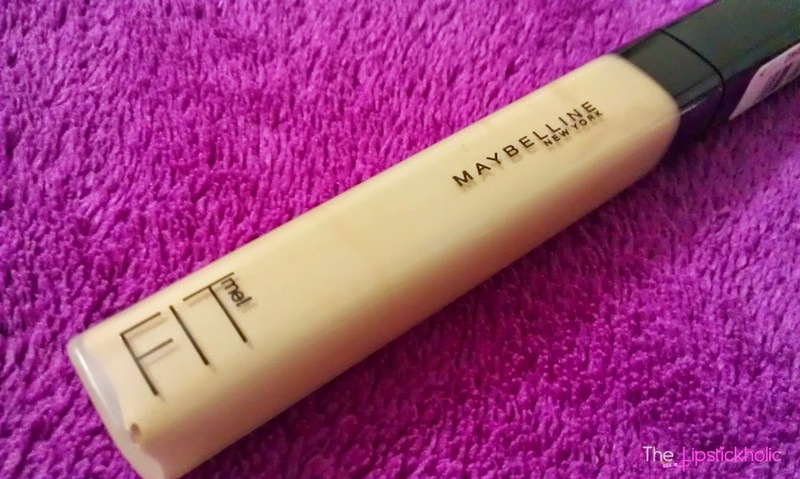 Review: Maybelline Fit Me Concealer in " Fair (15) "
Okay so this concealer comes in plastic tube form with a doe-foot applicator similar to those of lip glosses. The packaging is just average and nothing special to say here. Internationally this concealer is available in 6 shades but currently there are only three shades available in Pakistan. Fair (15), Medium (25) and Cafe (30). Well I did a little research on net before choosing the right shade for me and found medium was a little darker for my NC (25-30) skin tone. Therefore, I decided to buy the lighter shade available that is Fair (15). Luckily the shade is a good match for my skin tone. I can call it near perfect but not the perfect match. Its a bit lighter for me but luckily not a lot lighter and has slightly pink undertones. After blending into my skin it looks quite natural and doesn't appear too light. I still wish to get the shade Sand (20) that is available internationally, but wasn't available here locally because that would be a perfect match for my skin tone. Now coming to the consistency. 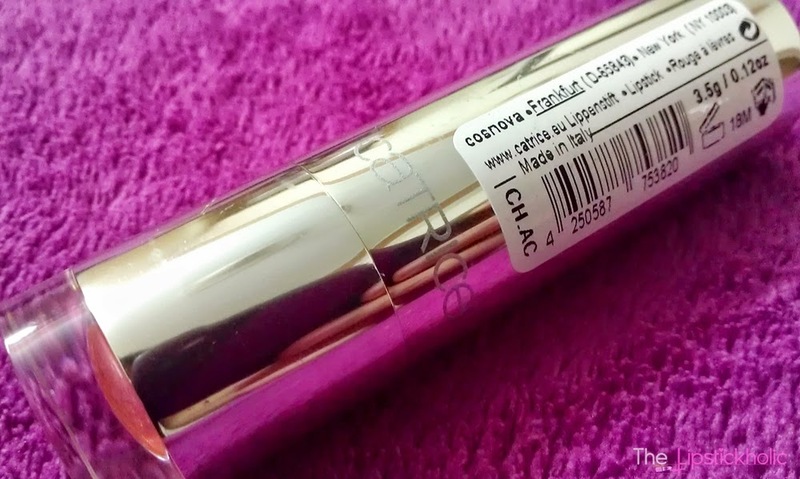 Its consistency is medium and is perfect in my opinion for a liquid concealer. The coverage it offers is medium yet buildable. 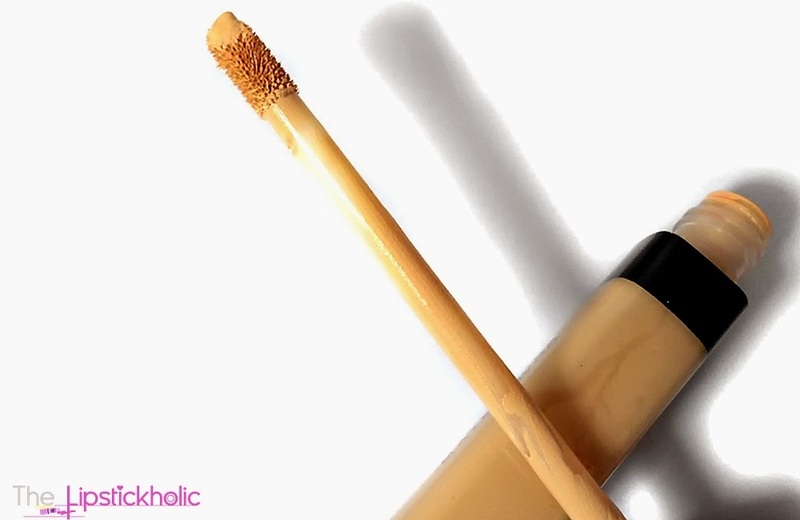 A small amount of this concealer is enough to provide decent coverage. I basically need a good concealer for my under eye area to conceal my dark circles. I must say Maybelline sure has impressed me with this product. It conceals my dark circles quite decently without looking cakey. Blends like dream. 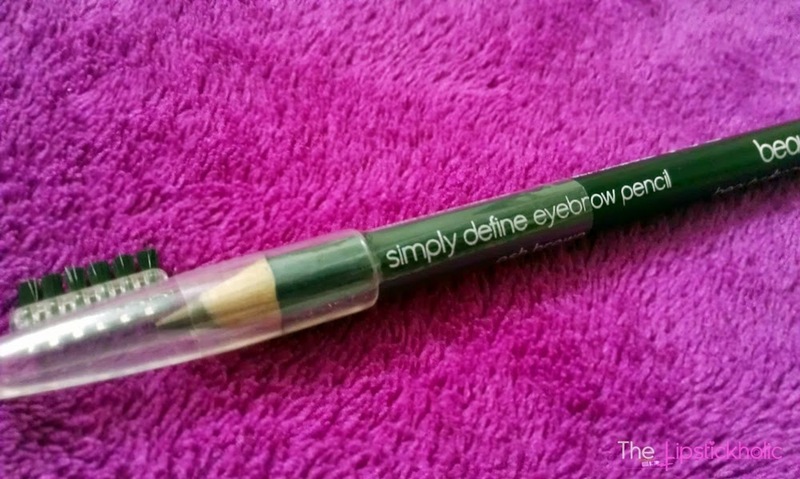 Doesn't settle into fine lines or doesn't enhance any dryness under the eyes. I always had blending issues with all the concealers I have used till now or some of those tend to enhance dryness under my eyes, but I haven't faced any such issue with this one. So bingooo..!!! Ok so now time for swatches. At extreme left you can see my bare eye with visible dark circles. The middle one shows the concealer applied and the last one shows the final results after blending. I have applied just one layer in this pic without any foundation or primer. You can see my dark circles haven't completely vanished but are quite less visible. For further coverage you can always add more and use a good foundation beneath. Am pretty satisfied with the medium coverage it provides. Its ideal to use everyday as it blends so easily into the skin and brightens the under eye area. Now coming to the staying power of this concealer. It lasted on me for about 6 hours which is not bad. I applied it in the morning under one eye only and by the end of the day, I could see my dark circles were still kinda less visible under that eye. So the lasting power is pretty decent for a drugstore concealer at this price. Always remember to set your concealer with a good powder before going out to make it last longer. Price & Availability: You can find this concealer at Maybelline New York counters in Pakistan at all leading stores. I bought mine from Beauty Arena for PKR 750/- only. Also available online at Just4girls. For international readers, these concealers are available in 6 different shades at all MNY counters in your conutry. Also available online at Walmart and Drugstore. So for me, I think I have found another drugstore gem that is Maybelline Fit me Concealer. Am glad I tried it. I just wish that Maybelline introduces more shades in this range soon. Have you tried Maybelline Fit Me Concealer yet...??? What do you think about it...??? Mini Haul and Shopping Experience with Beauty Arena....!!! So this is all for now. Prices and shades are mentioned with individual pictures. Am really excited to try this fit me concealer by Maybelline and this shine gel lip color by Catrice. It's a lovely shade. Reviews will be shared soon IA. Am again a happy and satisfied customer of Beauty Arena. They offer very good customer service, you can chat with them online on the site, message them on Facebook or talk to them on phone. 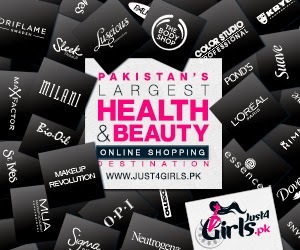 I think it is becoming one of my favorite online stores in Pakistan. And for those who don't wanna pay through bank. They offer COD too. Their delivery charges to all over Pakistan are Rs 200/- (Flat Rate). If you are in Pakistan and haven't shopped from their store yet, then don't forget to check their website and Facebook Page. They are celebrating their 2nd anniversary right now and are offering some amazing deals and discounts. For the past few months, I have been focusing more on reviews, hauls and weekly asks on the blog. So today, am gonna post my favorite skin care products or you can say its my current skin care regimen too. I don't usually use a lot of skincare products, but just have a basic skin care routine. 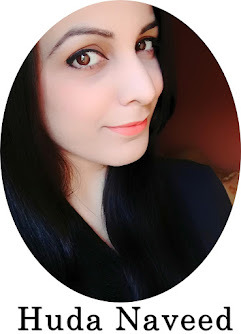 If you want to follow a basic skin care routine too then this post will be helpful for you. I wont be mentioning any fancy products or serums in this post but just simple products I use regularly that area easily available in market. Let's take a look at my skincare essentials. I love clean and clear morning burst range and this is my favorite morning face wash. I am habitual of using a good face wash in the morning and also before applying makeup. I prefer using an exfoliating one, usually the one with some gentle beads or granules. I have tried other daily face washes/scrubs too but love this one. I use it in morning and glad this is not too harsh on the skin. It gently exfoliates the skin and leaves the skin feeling fresh for a perfect start of day. For summers, I use this green one, as it controls oil and shine. In winters, I usually switch to the orange version of this facial scrub or the blue clean and clear exfoliating daily wash. This feels a bit drying in winter though, but you can always apply a toner and moisturizer after using ur face wash. Another good thing about this is, it is affordable too and is easily available in market. My second favorite skincare product is this deep cleansing facial foam by Ponds. I use it through out the year. However it's a bit drying on my skin, therefore I don't use it daily and make sure to use a moisturizer afterwards. I use this one when I want to cleanse my face properly, usually for removing my makeup, dirt and oil from my face. Its either this or the pink and white (Flawless white) facial foam that I love using for this purpose. Both work great for me. This facial foam has creamy consistency and deeply cleanses the skin. Skin really feels clean after using this face wash. Okay now this is my favorite facial scrub of all time. I liked the formula and feel of the older version more. But this new one seems to work well too. I don't use it regularly, as I use an exfoliating face wash on daily basis. So I use this one when am having a home facial or sometimes use it as a body scrub too. I wanna try the gentle version of this scrub next time to see how that works on my skin. Overall, this is a scrub you can trust for sure. 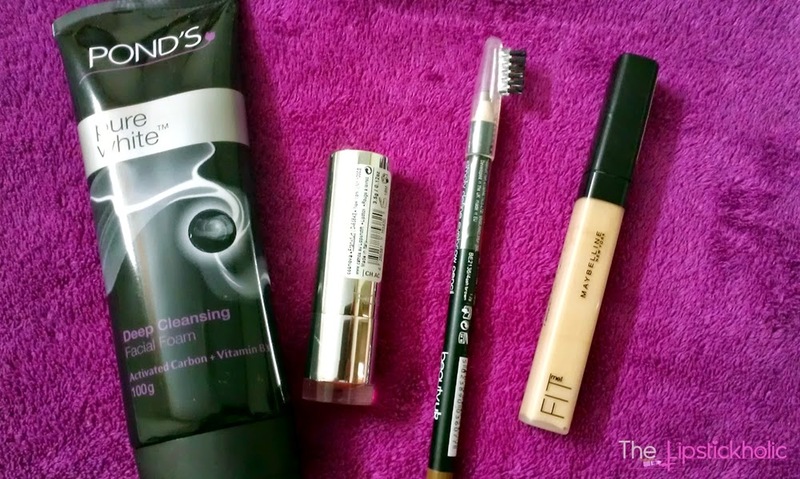 You can get it easily from any good cosmetics/ drugstore. 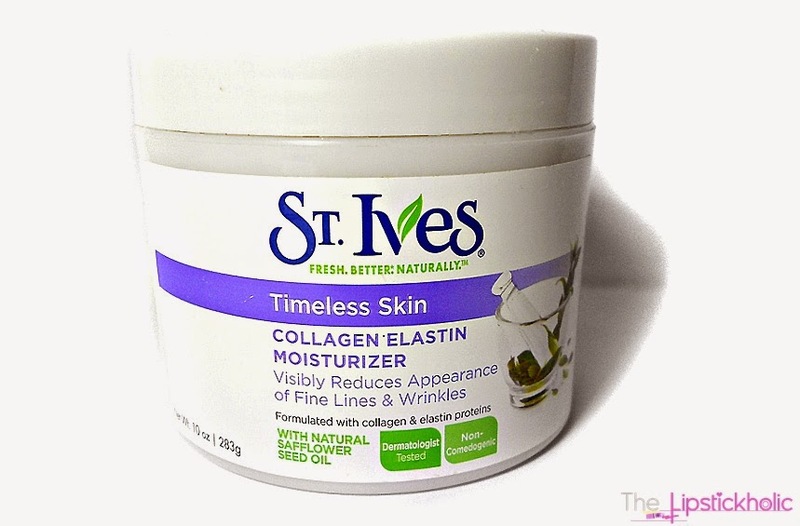 Another product by St.Ives. Tried this moisturizer recently and am glad I did. It absorbs into the skin so easily and doesn't feel greasy at all. 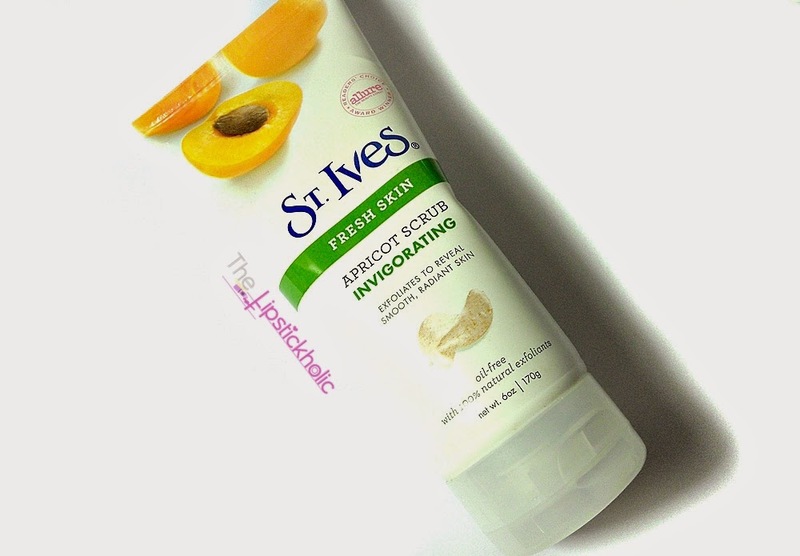 A small amount of this moisturizer is enough to moisturize the skin. I love it's smell and love the way it makes my skin so soft. I cant really comment on its ability to reduce fine lines and wrinkles but my skin feels much fresher after I started using it. If you have super dry skin then this might be lighter for you. But for my dry/combo skin this works very well. I use it as a night time moisturizer and also before applying makeup. 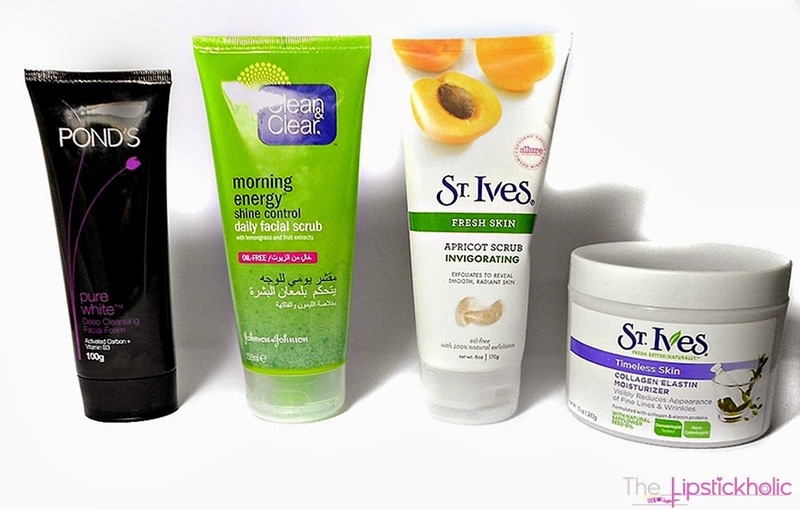 Okay so these were my favorite skin care products for summers and this is the simple skin care routine that I follow. Other than that, I also use clean and clear toner, Ponds white beauty cleaner and may be few other products occasionally. Now am planning to add an eye cream and serum to my skin care regimen too. And yes a good face polisher too. Weekly Asks: What products do you use for a quick 5-minute everyday look...??? If you have only 5 minutes to do your makeup, what products will you use for a quick everyday look...? My Answer: I quickly take some foundation or BB cream on my hands and apply it on my face using fingers. Then dab some concealer using fingers to conceal my dark circles. Then I use a pink, rosy or coral lipstick/ lip crayon on my lips. Then apply some powder blush on apple of my cheeks. And if I still have some time left, I apply a thin line of black/brown eyeliner on my upper lid only. In the end, if the weather is hot like it is these days, then I dust some mattifying powder all over my face and tadaaaa....am ready...This is what I use for my 5 minute makeup look for going out to work, for shopping or uni etc. Hope u all are doing great... Today am going to share my new clutch and my shopping experience with new online store Platinum with you all. This month, I was looking for one casual chic clutch for myself. Since I saw this gorgeous looking clutch on a fellow bloggers blog(Jasmine Catches Butterfly), I fell in love with it. So this weekend I visited Platinum.pk to get one for me too. Luckily, at that time they were offering upto 50% off on almost all of their hand bags and clutches. So I was like....Yaaayyy...!!! 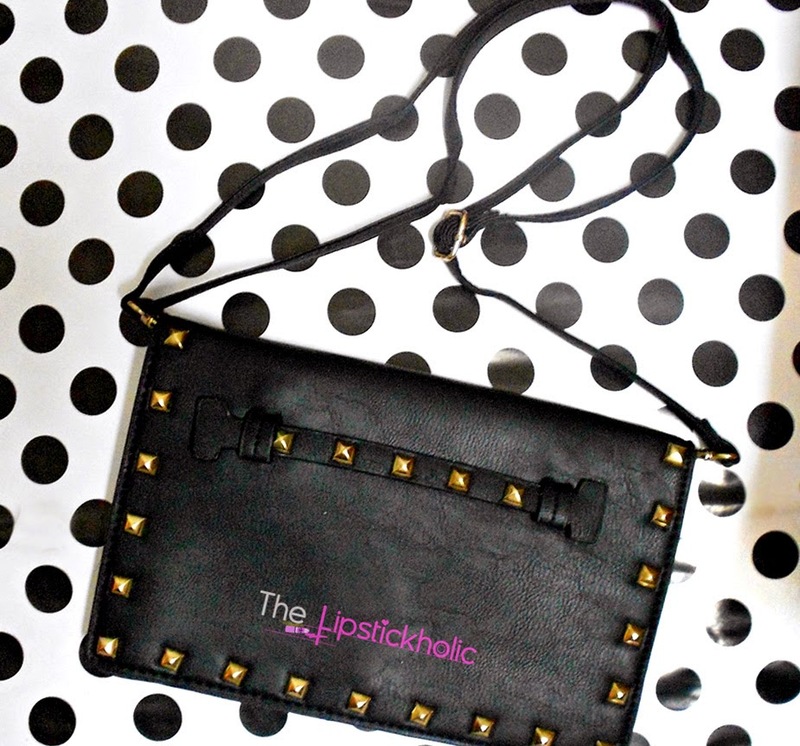 Well, I browsed through their website and there were so many trendy bags, wallets and clutches available. Plus, they were having a tempting sale too. 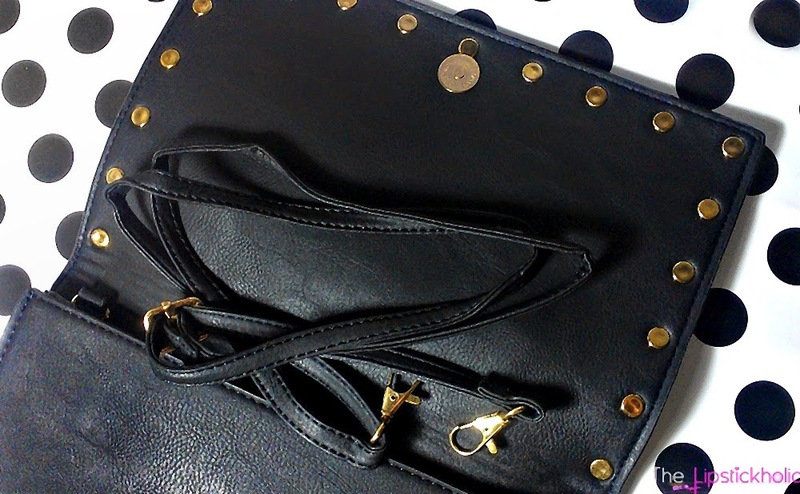 But, I controlled myself as I already have enough of handbags for now and I was just looking for a casual black clutch. 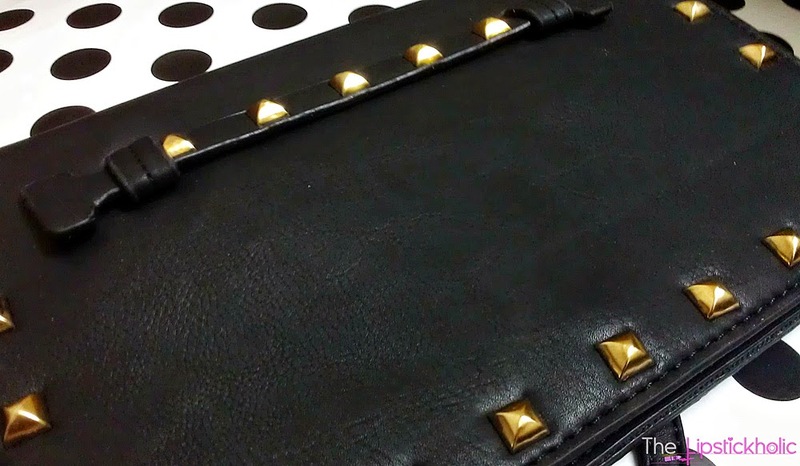 After browsing many other clutches and wallets, I ended up picking the same Zara's studded clutch in black color that Jadirah bought in green shade. When I opened the parcel, I was happy to see the quality of the clutch. It looked exactly as it was shown in the picture on their website. There was no defect or flaw or anything wrong.... Phewww. I was expecting it to be a bit more spacious but for a clutch it has enough space I guess. It comes with a detachable strap too. Now honestly, I can't really say if this is an original Zara's clutch or not. But am satisfied with the quality of the clutch. Its worth the price I have paid for it. 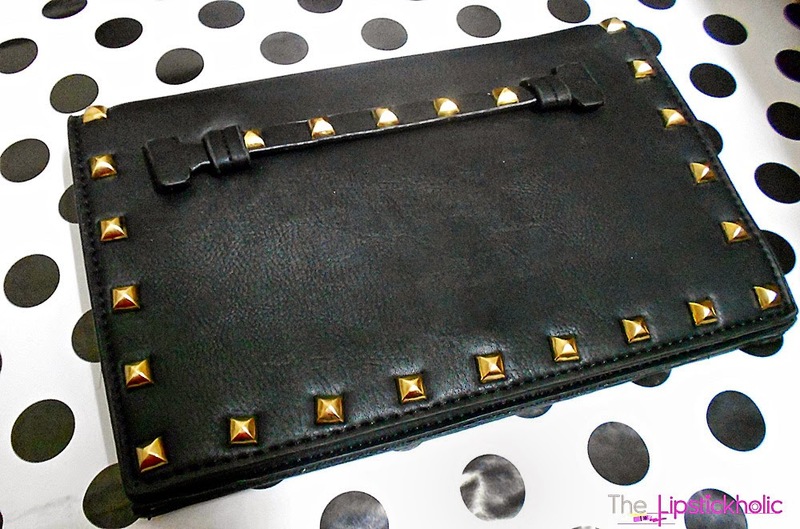 So this is how the parcel came and here are a few more clicks of this chic clutch. Overall, am a happy and satisfied customer of Platinum.pk. Great customer service, quick delivery anywhere in Pakistan and a great variety of bags and clutches to choose from. I think they are doing a great job. So next time when I'll have to buy a bag for myself, I know where to check first. Price & Availability: I got this from Platinum.pk for PKR 1750/- on sale. They are still offering upto 50% off on their bags, wallets and clutches. 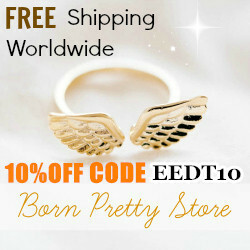 Don't forget to check the amazing sale on their site. 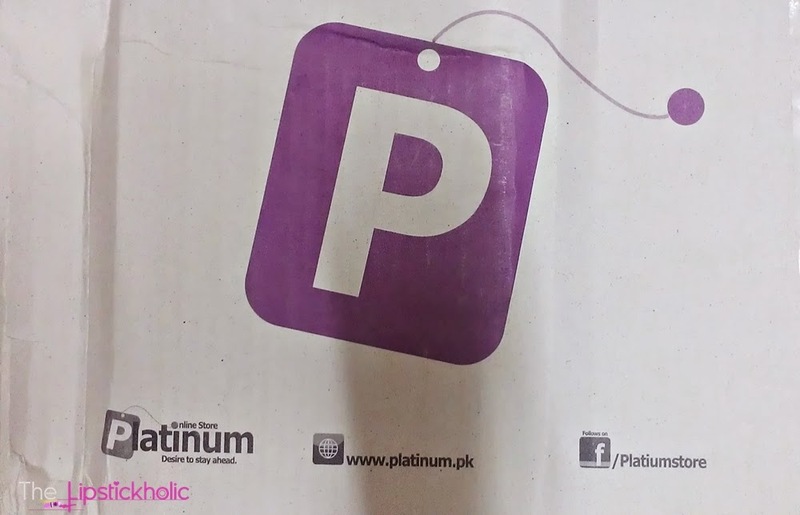 Have you purchased anything from Platinum.pk...??? How was your experience with this store...??? Review: L.A. Girl Creme Lipstick in Shade "Love Letters"
L.A. Girl Creme Lipstick in "Love Letters"
Okay now honestly I wasn't expecting a lot from this lipstick and this brand too. They are like so cheap on Beauty Joint and I always ignored these for some reason. Well, when I got this lipstick and opened it up the packaging wasn't that bad. It comes in a round black tube with transparent lid which closes very tightly. In my opinion, the packaging of this lipstick is even better than the Wet n Wild Mega Last Lipsticks. Their transparent lids get messy very easily. But with this one I didn't face this issue. When I opened this lipstick and swatched it for the first time, I was amazed to see how pigmented this lipstick was. Just one word came to my mind... Amazingggggg...!!! Seriously, it is highly pigmented. The texture and finish of the lipstick in creamy. 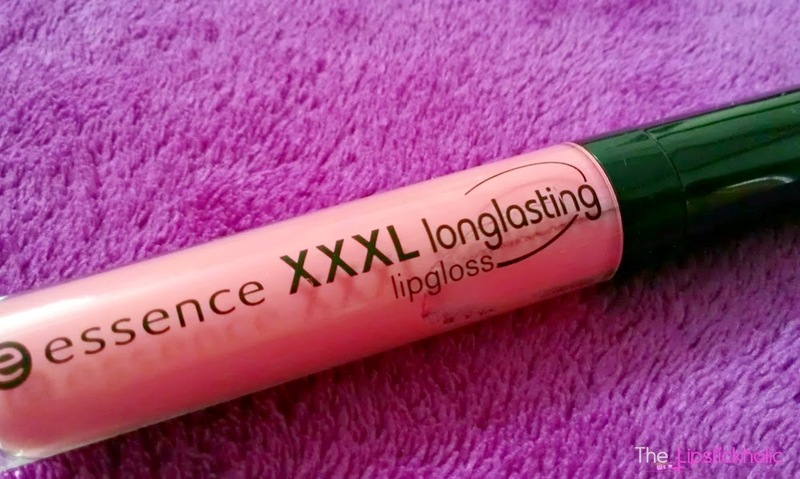 It glides smoothly on the lips. Just one swipe of this lipstick provides full coverage. 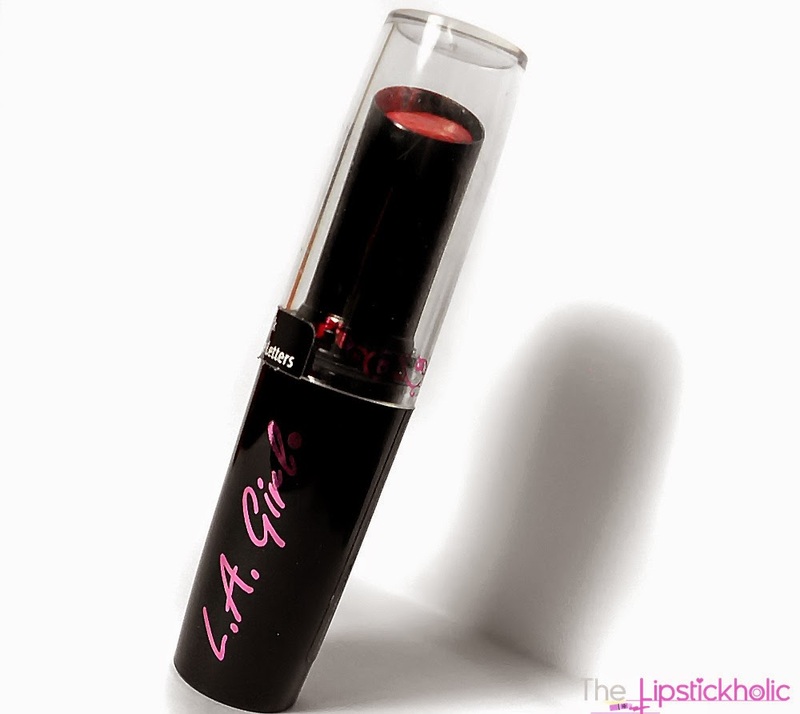 The lipstick has a strong artificial smell and taste that is annoying though. Otherwise, it feels really comfortable on lips. The finish of this lipstick is creamy. But if you gently blot it once with a tissue paper. The creaminess or the sheen disappears and it turns to a semi-matte kinda finish. Now coming towards this particular shade. This shade "Love Letters" is a bright tangerine coral kind of shade. It's more of an orange shade with minor pink undertones. I thought this would be similar to NYX Femme Lipstick, but when I compared these two, this one was more orangish and different. It looks almost neon on my lips and compliments my skin tone (NC 20-25) very well. To tone it down a bit, I blot it with a tissue and the shade becomes a gorgeous semi-matte orange then. I am loving this shade these days and wore this on Eid as well. It's a perfect lip color for summers. Now let me tell another great thing about this lipstick. The staying power of this lipstick is amazing too. I lasts 5-6 hours or even more, which I think is great. The staying power is almost comparable to the Wet n Wild Mega Last Lipsticks. I must say L.A. Girl sure has impressed me with this lip color. Am loving the shade, its finish and staying power too. Would love to grab some more shades too. Price & Availability: These lipsticks are available at Beauty Joint for $2.25/- only. You can check different Facebook Pages to see if they have these in stock or are taking orders for these. I think The Glam Shop might have these in stock. Weekly Asks: What do you prefer.... matte lipstick, glossy or any other....?? What lipstick finish do you prefer... matte, glossy or any other...??? My Answer: Well for me, I prefer matte lipsticks. I also like creamy or semi-matte finish lipsticks. Am not a big fan of very glossy lipsticks. 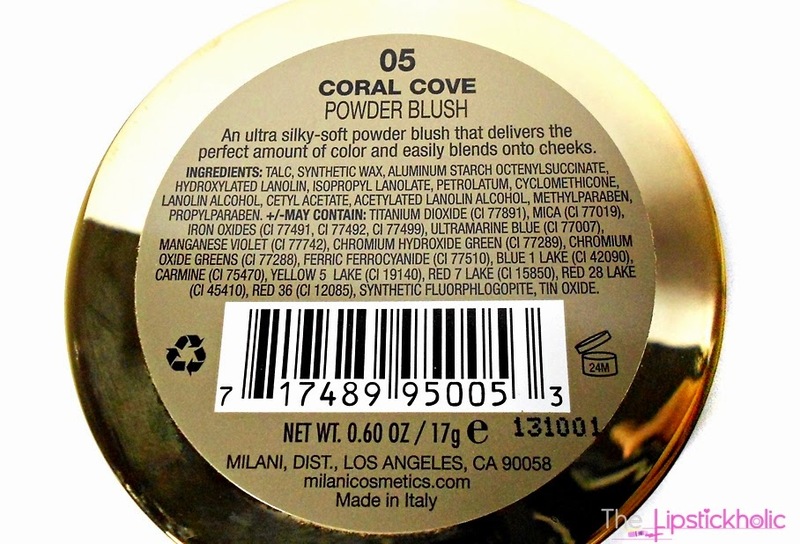 Review: Milani Rose Powder Blush in "Coral Cove"
Hope u all are doing great. 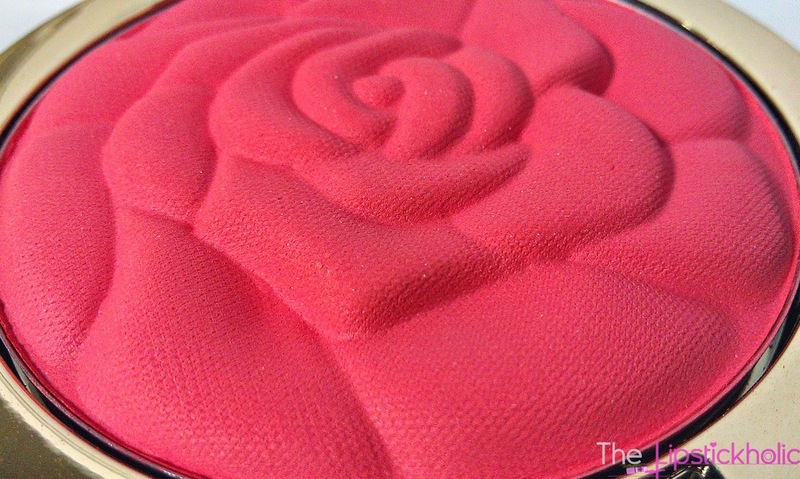 Today am going to review one of the most raved about blushes this year. 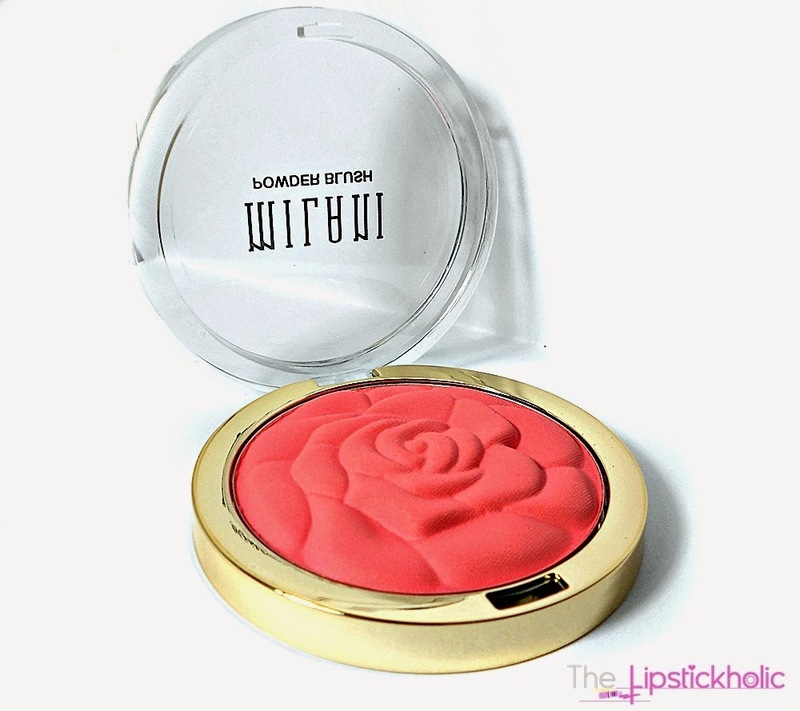 Milani Rose Powder Blush in shade "Coral Cove". Okay so when I first saw these blushers on internet, I was captivated by the cute floral design and elegant packaging of these. Since then, I was trying to get my hands on one of these blushers. They were available on different Facebook pages and online stores for different prices. I was interested in trying the 4 limited edition shades. Luckily, I spotted these on BeautyArena. I immediately bought one as a birthday present from me to me... hahaha.. Anyways let's see what I have to say for this rose powder blush. Okay so firstly lets talk about the packaging. Ahhhh...it's so classy. This blush comes in a gold colored sturdy pan with transparent lid. Inside, you can see the blush with this cutest floral pattern. I fell in love with the rosy pattern actually. That was the main reason I was so tempted to buy this blush because of how cute it looked. Now coming to the texture and pigmentation. 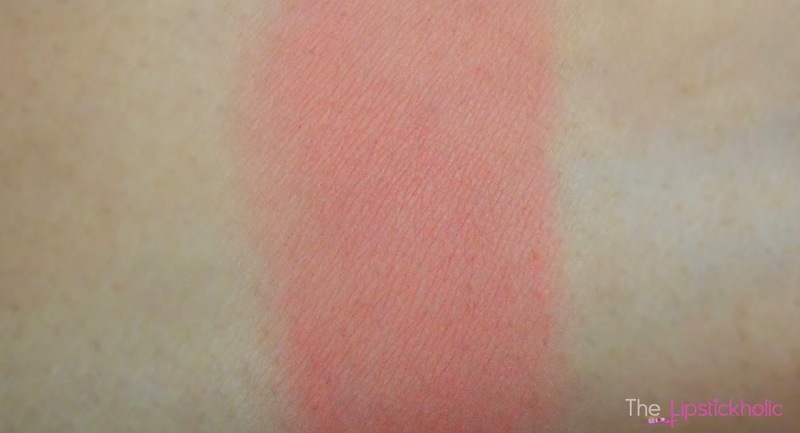 This blush has amazing pigmentation. It is completely matte. However the texture is you can say a bit chalky. Not the best ever texture you would expect from a blush at this price. I mean the cheaper blushes by essence have much better texture. 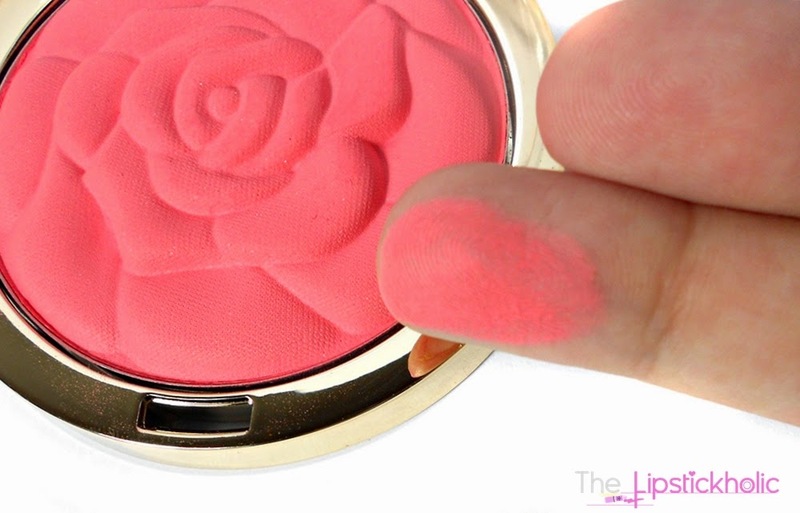 Blending this blush can be a bit tricky initially. But it feels smooth on skin and looks natural. The shade I picked is one of the four limited edition shades "Coral Cove". Its a gorgeous coral shade. 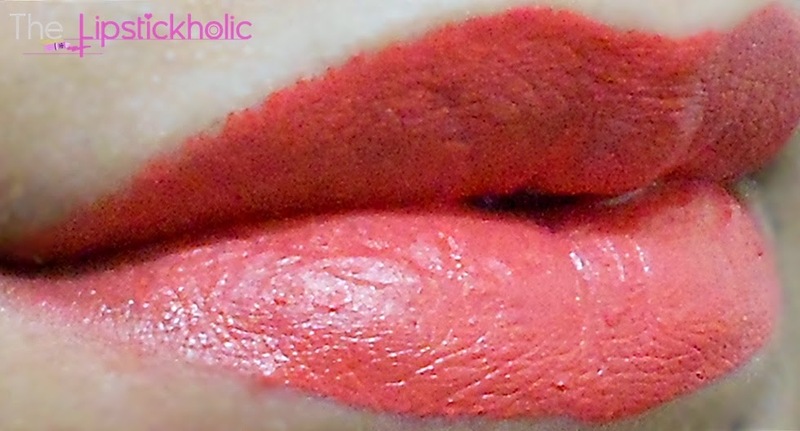 A matte pinkish peachy shade that would suit almost all skin tones. The staying power of this blush was decent for me. It lasted for about 4-5 hours in hot and humid weather which is decent. After 4-5 hours u can see light stain on your cheek. But honestly, I was expecting more. Overall, its a decent matte blusher. Not as great as the previous Milani blushes. If you are a fan of cute looking makeup products or you like matte blushes then you should stock these up. The shade is really gorgeous. But performance-wise I would rate this as an average blush. However, I still admire how cute and elegant it looks. I think the cute floral pattern and packaging of these blushes might make these a hit again. Price & Availability: Milani Rose Blushes are available at Just4Girls and BeautyArena. I bought mine from BeautyArena for Rs 1550/- For international readers you can find Milani Rose powder blush at Beauty Joint for $9.99.